Home › FAQ › What Pre-requsites are Needed To Get Into a Nursing Program? Any student who is thinking about earning their nursing degree should take time to get familiar with the common pre-requistes needed to get into a nursing program. The purpose of pre-requisites is to ensure that the student body has the skills and knowledge needed to cover the nursing content. Some programs are much more competitive than others, making the requirements a bit more strict, but in general, most requirements are similar in nature. Here is your guide to the admissions requirements you will stumble upon when you are applying to nursing school so that you know what to focus on beforehand. 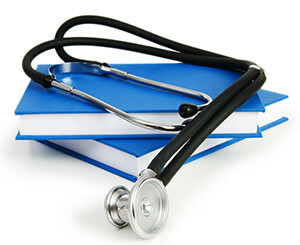 What are the Academic Requirements to Get Into a Nursing Degree Program? The admission standards may be different between an associate’s and a bachelor’s level program. Since a bachelor’s requires more of your time and double the commitment, many schools will look deeper into your academic history when you enroll in a BSN program instead of a shorter and more basic associate’s program. Typically speaking, you will have to have your high school diploma to enter into the BSN and the ASN programs. Some schools with two-year and certificate programs may accept a GED certificate to meet the requirement. Beyond that, students must have completed coursework that will prepare them for the core curriculum of the program. Some of the coursework you should be sure is on your high school transcript includes: physiology, nutrition, psychology, biology and anatomy. The grade point average requirements are where there is a noticeable difference in standards. In most cases, students who want to enter into an Associate-level program will be able to find acceptance if they have a GPA between 2.0 and 2.75. The requirements are not so lenient when you want to earn a four-year degree. Most colleges are looking for students with no less than a 3.0. If you earn your two-year degree before going into a BSN program, they will look at these grades instead of the grades that were attained in high school. This is why it is so important to take school at every grade level seriously. Now that you know the minimum requirements, it is time strengthen your chances of getting into your school of choice. Make sure you compare the program options and visit different campuses to see if you like the feel. Most schools will let you sit in during a class and talk to professors so that you can make a decision. After you have looked into accreditation and you have to strengthen your application to get the notice that you deserve. Make sure to make your admissions essay as convincing as possible and stress how motivated and passionate you are. You should also commit some time to community service by volunteering at hospitals or clinics to demonstrate your ability and passion, according to Mighty Nurse. Not everyone will get into a nursing degree program the first time that they apply. If you have been rejected in the past, it is time to buckle down and get more focused. Be sure that your strengthens are highlighted to detract from weaknesses you may have. Start by earning a high GPA, fulfill the pre-requistes needed to get into a nursing program, and then you can focus on the lovely admissions essay.